If you a foreign person who receive rental income from Australian properties or capital gains from selling Australian assets, you must declare these amounts in an Australian tax return. Horwood Partners will be able to assist you in preparing and lodging your income tax return with the Australian Taxation Office. 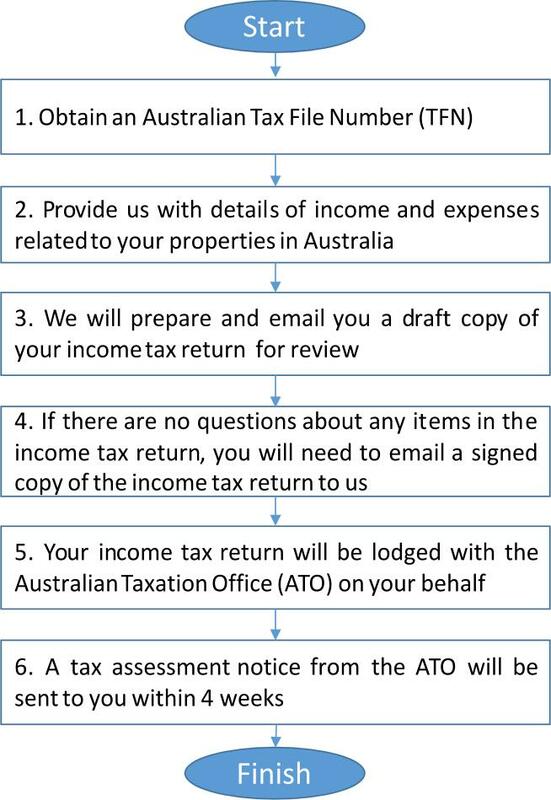 The diagram below is an overview of the process that we undertake in getting your income tax return prepared and lodged.